Revive the look of dull, uneven skin with Manefit's Beauty Planner Lily Whitening + Brightening Mask, a superfine sheet mask infused with an effective essence to revitalise the complexion. Made from natural cellulose, the microfibre mask applies like a second skin, allowing optimum absorption of ingredients for maximum efficacy. Specialising in patented face mask technology, the Korean sheet mask contains Lily and Niacinamide to brighten and improve clarity. Lily, rich in proteins and amino acids delivers moisturising and regenerative properties, while Niacinamide enhances natural radiance and improves tone. 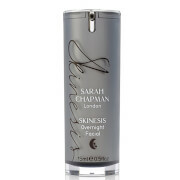 Pigmentation appears to disappear, and the overall complexion looks smoother, softer and brighter. Each box contains 5 x Lily Whitening + Brightening Masks (25g). After cleansing and toning, carefully place a sheet mask on your face. 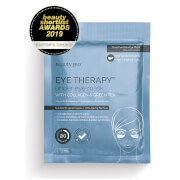 Remove the top part of the sheet mask from packaging and place carefully around eyes and nose, then remove the bottom piece and place over lower-half of face and neck. 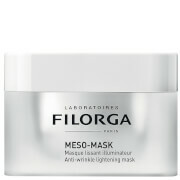 After 10 to 20 minutes, remove the mask and gently pat any remaining product into the skin until thoroughly absorbed. Water, Glycerin, Mineral Oil, Butylene Glycol, Citrus Paradisi (Grapefruit) Fruit Extract, Lilium Tigrinum Extract, Polyglyceryl-3 Methylglucose Distearate, Dimethicone, Glyceryl Stearate, PEG-100 Stearate, Phenoxyethanol, Carbomer, Vitis Vinifera (Grape) Fruit Extract, Citrus Aurantium Dulcis (Orange) Fruit Extract, Pyrus Malus (Apple) Fruit Extract, Citrus Medica Limonum (Lemon) Fruit Extract, Citrus Aurantifolia (Lime) Fruit Extract, Potassium Hydroxide, Disodium EDTA, Magnesium Ascorbyl Phosphate, Fragrance.